Researchers at Oregon State University have found that a chemical mechanism first described more than two centuries ago holds the potential to revolutionize energy storage for high-power applications like vehicles or electrical grids. The research team led by Xiulei (David) Ji of OSU's College of Science, along with collaborators at the Argonne National Laboratory, the University of California Riverside, and the Oak Ridge National Laboratory, are the first to demonstrate that diffusion may not be necessary to transport ionic charges inside a hydrated solid-state structure of a battery electrode. "This discovery potentially will shift the whole paradigm of high-power electrochemical energy storage with new design principles for electrodes," said Xianyong Wu, a postdoctoral scholar at OSU and the first author of the article. "Coming up with Faradaic electrodes that afford battery's energy density and capacitor's power with excellent cycle life has been a big challenge," said Ji, associate professor of chemistry. "So far, most of the attention has been devoted to metal ions—starting with lithium and looking down the periodic table." The collaborative team, however, looked up—to the single proton of hydrogen—and they also looked back in time, to Theodor von Grotthuss, a German-born Lithuanian chemist who in 1806 penned the theory on charge transport in electrolytes. Von Grotthuss was just 20, and living in a region beset with political upheaval, when he published "Memoir on the decomposition of water and of the bodies that it holds in solution by means of galvanic electricity" in a French scientific journal. "In the turmoil of his time and place, he managed to make this big discovery," Ji said. "He was the earliest to figure out how electrolyte works, and he described what's now known as the Grotthuss mechanism: proton transferred by cooperative cleavage and formation of hydrogen bonds and O-H covalent bonds within the hydrogen-bonding network of water molecules." Here's how it works: Electrical charge is conducted when a hydrogen atom bridging two water molecules "switches its allegiance" from one molecule to the other, Wu explains. "The switch kicks disjointed one of the hydrogen atoms that was covalently bonded in the second molecule, triggering a chain of similar displacements throughout the hydrogen-bonding network," he said. "The motion is like a Newton's cradle: Correlated local displacements lead to the long-range transport of protons, which is very different from metal-ion conduction in liquid electrolytes, where solvated ions diffuse long distances individually in the vehicular manner." Added Ji: "The cooperative vibrations of hydrogen bonding and hydrogen-oxygen covalent bonds virtually hand off a proton from one end of a chain of water molecules to the other end with no mass transfer inside the water chain." "That's the beauty of it," Ji said. "If this mechanism is installed in battery electrodes, the proton doesn't have to squeeze through narrow orifices in crystal structures. If we design materials with the purpose of facilitating this kind of conduction, this conduit is so ready—we have this magic proton highway built in as part of the lattice." In their experiment, Ji, Wu and their collaborators revealed the extremely high power performance of an electrode of a Prussian blue analog, Turnbull's blue—known by the dye industry. The unique contiguous lattice water network inside the electrode's lattice demonstrates the "grandeur" promised by the Grotthuss mechanism. "Computational scientists have made tremendous progress on understanding how the proton hopping really occurs in water," Ji said. "But Grotthuss' theory was never explored to avail energy storage in detail, particularly in a well-defined redox reaction, which had the aim to materialize the impact of this theory." While very excited about their findings, Ji cautions that there's still work to be done to attain ultrafast charge and discharge in batteries that are practical for transportation or grid energy storage. "Without the proper technology involving research by materials scientists and electrical engineers, this is all purely theoretical," he said. "Can you have a sub-second charge or discharge of a battery chemistry? We theoretically demonstrated it, but to realize it in consumer devices, it could be a very long engineering journey. 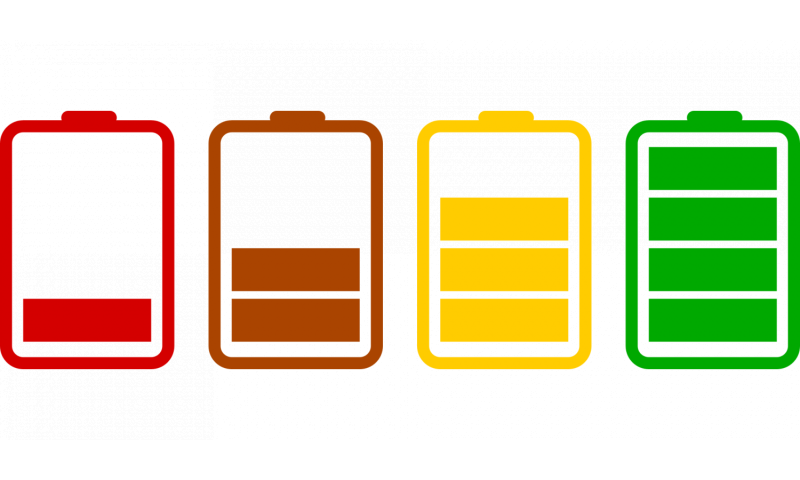 Right now the battery community focuses on lithium, sodium, and other metal ions, but protons are probably the most intriguing charge carriers with vast unknown potentials to realize." Maybe, but a battery that can dump out kilowatt-hours in less than a second is properly called an electric bomb, not a battery.